Yes, it is sitting on a wooden wine box. A year ago it was so difficult to allow myself to find joy around this time of year, but I look around and see it so much more clearly now. As another song goes, love is all around. 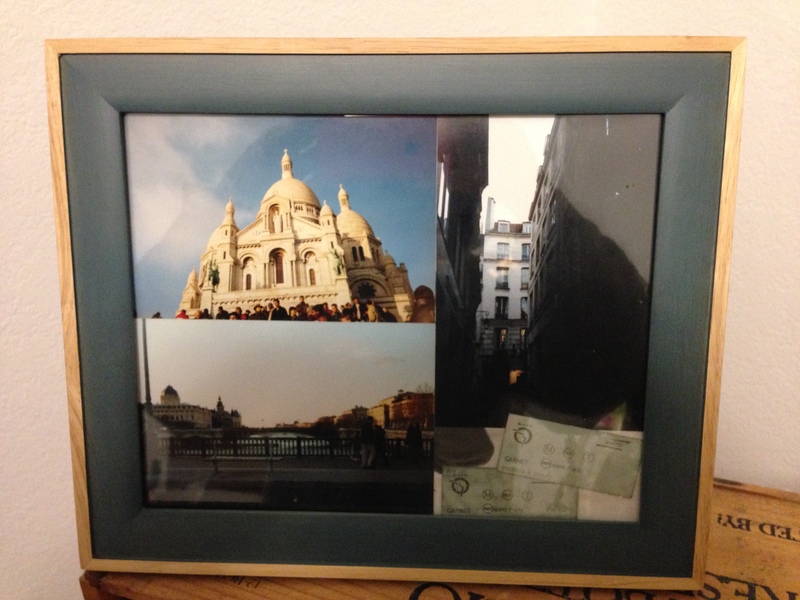 I removed from storage a framed collage of photos of my Paris trip long ago and set it prominently on my shelf as a reminder of happy days–they are here again. The pop songs never seem to end. But I suppose what I’m trying to convey, at least to myself, is to keep things simple and light. I know it’s easier said than done. But when I push through a hardship, it’s important to focus on what is so good about being alive. And then an interesting thing happened to me at the end of this year: I landed a new job. It was the Christmas gift I was waiting and hoping for. In another moment of reflection, I remember a friend telling me to be sure I am running toward something as opposed to running away from a situation. I’m happy to report it is the former. Right now it does feel like Paris In December.